Bluebell Walk, Bug Hotel & Fairy Door Adventure. Capponellan Wood – Sunday 14th May at 12.30 pm. 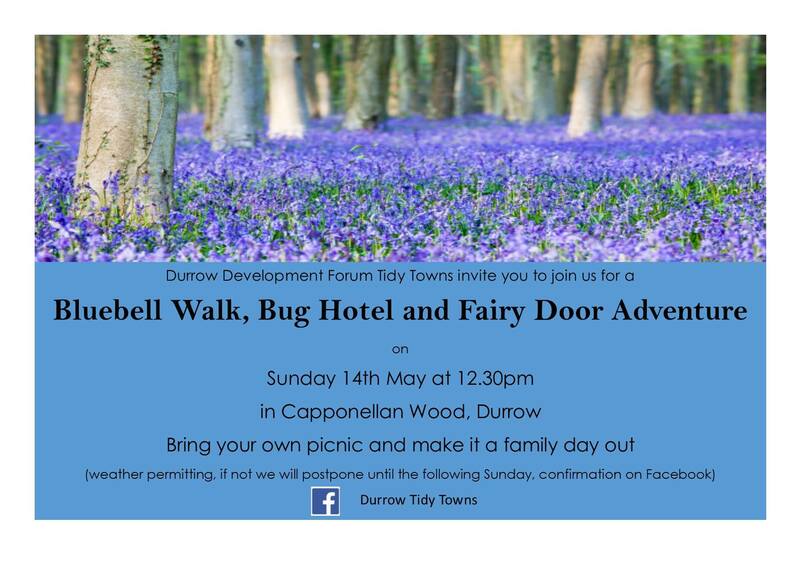 Durrow Development Forum Tidy Towns, invite you to join them for the Bluebell Walk, Bug Hotel & Fairy Door Adventure, which is being held in Capponellan Wood, Durrow, on Sunday May 14th at 12.30 pm. Bring your own picnic and make it a family day out! Walk is subject to weather, and any changes will be posted on their Facebook Page.